Sunday night and I’m at a loss for words. I can feel them fluttering, swarming, pounding, and writhing about my brain but getting them on the page seems like an impossible task tonight. So I’m going to find a new direction. Today, I was going through old boxes of mostly junk, as I continue on my declutter my life project, and I found some old poetry. Poetry I had written years ago. Really bad poetry. Hell, I’m not even sure it is poetry. It reminded me that I don’t have to be perfect to be creative. I feel like we get in our own way sometimes. In my case, lots of the time, and that is a disservice to ourselves. I can be creative and successful. I am creative and successful. Not because I’m a published author. Or because I’ve written the next great American novel. I haven’t. I may never do those things. I was reminded today that it’s okay. My poetry, bad or otherwise, is one more step on my path. It’s an opportunity to reminisce about days long past and consider where I want to be in the future. Today’s find is a time capsule without directions. I don’t remember what I was thinking or feeling when I wrote it. And I didn’t leave any other notes. This could be a piece I was planning on expanding or a random scribble made during a meeting. I’m going to share this random piece of whimsy because I feel like it deserves some sunlight after being stuffed in a box for who knows how long. A flash of diamond nestles black. The silver pearl sparkles, glows. Travel on the crimson pathways. Onyx becomes amethyst while soft mist wanders light. Who knows – maybe the sparks of a new story will be found as I consider this filament of meaning from days gone by. I admit it – I love writing prompts. The “What If” game and the paths that the stories take as they flow from my imagination and down to the page. Today is Day 2 of NaNoWriMo and I’m happy with my success so far. I may never actually get an entire book written in a month but something about NaNoWriMo always gets my motivation speeding down the highway of my dreams. I have found that for me to write on my primary story I need to get the juices flowing first. Freewriting is helpful but tends to become journaling which isn’t always a good mental place to begin writing my fiction. So I collect writing prompts from anywhere and everywhere. I wish I could say that I came up with the prompts myself but in truth I just am shamelessly using someone else’s brilliant ideas in the hopes that my own brilliant ideas will come out of hiding. Today’s writing prompt is: An archeologist stumbles upon a ancient library filled with working spell books. In my vision I see Indiana Jones fighting booby traps, snakes, and natives to find the library. Then wondering what the hell he is going to do with a library of magic books! I’m not sure that this piece will ever be more than just a plot bunny in my writing journal but it was certainly fun to write. And I hope the idea takes you on a new adventure as well! Do you ever look in the mirror and wonder who the person staring back at you is? I know that one of the most important things is how I see myself. I want to see the lion when I look in the mirror but some days that is easier than others. Why do we insist on seeing the worst in ourselves? I always look for the best in others. Positive intentions – that’s one of my first thoughts when I’m frustrated or irritated with someone else’s behavior. So why don’t I give myself the same latitude? It’s a mystery and something that I’ve filled pages and pages in my journals about. I have not yet come to an answer, not really, but I always feel better after having written. When you get right down to it that is my self-reminder for the day. Writing always makes me feel better. Whether I’m writing in my journal, working on my fiction, or just brainstorming, the act itself helps me to process the world and my reality. And that makes my life run smoother. But there is still the nagging critic that comes back to haunt me when I least expect it. Dealing with him is hard – I swear he’s a member of the Zombie Apocalypse because he just doesn’t die! But I’m getting better with shutting him up and as I focus on the quiet within myself I find I can hear the murmurs of my Creative Genie more clearly and she’s the one I want to hear. 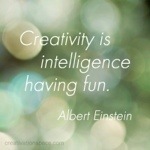 Getting to the quiet and not always peaceful but ever creative land within my imagination is getting easier. And for that I’m grateful. Tonight my mind is racing and my emotions are all over the place. It’s been an eventful day and I can hear my journal calling me. That’s the lovely thing about writing – it can be shared or kept private depending on the message. And I have definitely written something’s that should never be shared with the world! I’m not sure what tonight’s writing will bring but I’m sure that it will be powerful. This post did not come out like I’d planned but that’s okay. Someone once said “Life is what happens when you’re making other plans.” I don’t ever remember who said it but feel like it applies. I’ll get back to my plan tomorrow, who knows, I might actually get that post done too! I’m so excited! I feel like I should be singing, except that has never been one of my talents. Only 31 days left until NaNoWriMo and I’m starting a new writing practice today. It’s the beginning of a new chapter of my life. A chapter where I intend to take better care of myself and work every single day towards achieving my dreams. For those of you who aren’t familiar with NaNoWriMo it’s a month-long creative writing challenge that occurs in November. National Novel Writing Month is the full title of the challenge but NaNoWriMo just trips off the tongue so easily! I have been participating in NaNoWriMo for the last couple of years and although I haven’t managed to complete an entire novel – it’s always an interesting experiment. The official NaNoWriMo site has tips to survive the month, and tips for your families and loved ones to survive the chaos as well. Anyone interested in writing, and most importantly completing, a creative writing project should check it out. Like I said, I’m not as hard-core as some folks that join the challenge but that’s the wonderful thing about it. Everyone works on their own passions, the stories that spark their creativity, and the only one you really compete with is yourself. So, we have 31 days until NaNoWriMo and 30 days until Halloween. Plus the weather in Colorado is getting cooler, autumn has arrived and it’s beautiful. I have made a pledge, to myself, to write at least one page every day in October. That way I’m prepared for NaNoWriMo, in theory! Today’s page was focused on outlining the path I think my current work will take and to determine who some of the characters will be. It feels great to be writing consistently again. And I know that as I build the habit back to where I want it to be the words will just flow even easier. Just in case I get stuck though – I’ve been saving writing prompts that intrigue me from all sources. I’m going to compile them so they are more easily accessed and used but I know that I am ready for any Writer’s Block that comes my way. This is the turning of a page for me. My goal this month is to let go of habits that don’t help me move towards my dreams and embrace those that will allow me to reach it. But I don’t want to overwhelm myself and I don’t want to quit because I’m frustrated with a lack of progress. So for October I’m going to focus on writing one page per day and being aware of how I spend my money. I recently stopped working my second job and although my stress level and health has improved, my finances have not. I am following Dave Ramsey’s Financial Peace program and it’s scary but I have faith that it will be for the best. It’s hard not to be disappointed in myself for letting things get so out of hand but I know that I can make the changes and climb out of my hole. Making any life changes is challenging and I know that there will be ups and downs. I’ll chronicle these bumps in the road and all the fun I’m having for you, dear reader. Hopefully you will be able to avoid making the same mistakes I’m sure to make. And I hope you enjoy the blessings that inspire me as well.